For a species with approximately 500 surviving animals in the world, this was a crisis — an unprecedented die-off signalling a troubled outlook for the species. But over the last few years scientists have been concerned that the small population of surviving whales has been doing poorly on several fronts. Females have been bearing fewer calves and population growth has not just been at a standstill since 2012 — it’s likely in decline after this year’s losses. Lower numbers of whales have been spotted in some well-known feeding areas including Grand Manan Basin in the Bay of Fundy, an important nursery habitat for young. Experts combing over photographic data say some whales’ bodies are in poor condition, suggesting the animals are using more energy to traverse longer distances in search of food. Scientists believe it’s this search that has likely brought large numbers of right whales into the Gulf of St. Lawrence. Now, with almost two per cent of the population dead in a matter of months, Canadians are expressing an urgent need for action. Efforts to prevent further fatalities are crucial in the quest to keep this endangered species from the brink of extinction. Dalhousie’s Kimberley Davies is a leading expert on the North Atlantic right whale. She’s been responding to both the presence of many live whales in the southern Gulf this summer and the abnormal death toll. In between, she’s been vocal about the die-off in the international media coverage that’s followed, often responding to unsubstantiated theories. Dr. Davies, who completed her PhD in oceanography at Dal followed by a postdoctoral fellowship in the Faculty of Engineering, has been studying right whales and their habitats for a decade. Those questions formed the idea behind Dr. Davies current postdoctoral fellowship working with Chris Taggart, a renowned biological oceanographer at Dal. The pair developed the Whales, Habitat and Listening Experiment (WHaLE) project. It’s funded primarily by the Dal-hosted Marine Environmental Observation Prediction and Response Network (MEOPAR), and Environment and Climate Change Canada, with support from the Dal-hosted Ocean Tracking Network (OTN) and more than 20 other organizations. WHaLE uses acoustic technology, autonomous underwater vehicles (AUVs) and an existing marine tracking infrastructure to tackle a critical issue facing the surviving right whales: vessel strikes. Ship strikes or entanglement have caused most North Atlantic right whale mortalities on record. In fact, preliminary results of necropsies performed on some of the dead whales this summer indicate three of them suffered from internal bleeding typical of blunt force trauma consistent with a ship strike. But necropsy results only go so far when addressing how to protect the surviving whales in high-traffic shipping regions. That’s the question WHaLe was built to answer. As a habitat ecologist, Dr. Davies focuses on where the whales are and why. 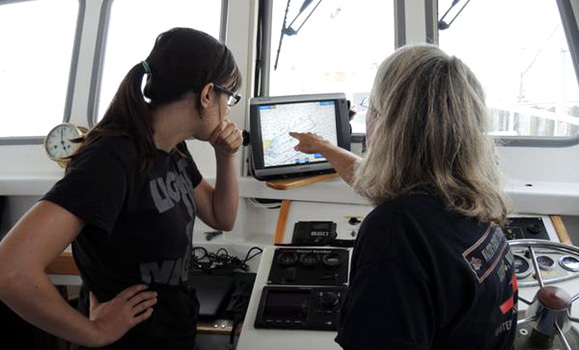 As a biological oceanographer, she’s also interested in the ocean conditions present where right whales congregate. WHaLE helps her study both. It starts with acoustics. Dr. Davies’ mentor and colleague, Mark Baumgartner of Woods Hole Oceanographic Institute, is well-known for his work using acoustics and computer programming to monitor right whales present around the busy shipping lanes off Boston, MA. His team built a unique system WHaLE uses to detect right whale sounds in real-time and transmit their locations to researchers via satellite. Hydrophones, which are tools that detect soundwaves underwater, listen for whales within a 10 km radius. They’re affixed to OTN-operated slocum gliders akin to aerial drones. Once deployed, the gliders and their hydrophones move about the ocean for months at a time, continuously recording data and location along the way. Currently, one glider is deployed in the Gulf and a second in Roseway Basin, a known right whale feeding ground off southwestern Nova Scotia. One WHaLE team goal is to package this real-time data and broadcast it to vessels in the area, in the hopes that a ship’s crew will take precautions if alerted to a right whale nearby. That’s not all WHaLE is accomplishing. Another OTN-operated glider is equipped with an active acoustic echo sounder that emits pulses of sound to measure the food that right whales eat: a tiny zooplankton called Calanus. These crustaceans go through a hibernation-like period called diapause in the spring and summer. Dr. Davies explains that during diapause the usually free-swimming zooplankton sink, and large numbers gather in “bowl-shaped” basins on the continental shelf. 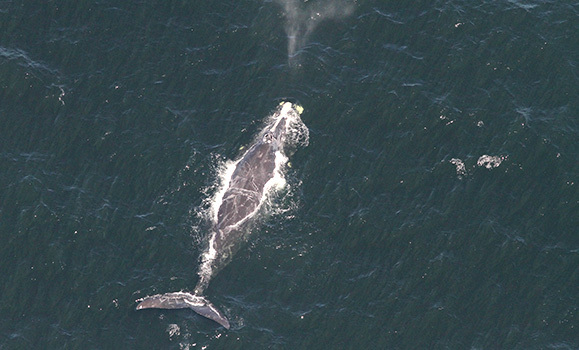 Right whales flock to these small areas. Those working with Dr. Davies and Dr. Taggart use WHaLE gliders to scope out where the zooplankton in diapause can be found while simultaneously listening for right whales in those areas. In this way, Dal researchers like master’s student Gennavieve Ruckdeschel and PhD candidate Hansen Johnson are helping find these special spots in the ocean where right whales feed. Enough studies have been done to confirm that the Grand Manan Basin and Roseway Basin are feeding grounds for right whales. In contrast, very little habitat research has been done in the Gulf of St. Lawrence. But researchers, including Dr. Davies, suspect that this area could be a prime feeding ground too. Evidence indicates that the Orpheline Channel located near Northern New Brunswick and Prince Edward Island contains significant concentrations of Calanus, similar to Grand Manan Basin and Roseway Basin. Large numbers of the resting zooplankton would be easy prey there, too. The whales may have been frequenting that source of food for a while, but researchers weren’t looking for them there before 2015. Based on advice from Dr. Davies, Dr. Taggart and other prominent experts, a National Oceanic and Atmosphere Administration (NOAA) team from the U.S. did the first aerial survey of the southern Gulf that year. The same year, three dead right whales were found in the area. Sure enough, NOAA found 40 whales in the Gulf. Since then, WHaLE gliders have consistently detected whales in the area and more sightings have been recorded. “What matters is that the whales have been there for at least three years now,” explains Dr. Davies. “Their food is there, their food has been there in the past, and it will probably be there in the future,” she says. Today there are more research efforts to better understand this area of the Gulf as a newly discovered right whale habitat; the body of evidence continues to grow. And when there’s proof that whales are present in an area where policy hasn’t required their consideration before, there are grounds for improved marine management. The federal government has taken some immediate measures to protect the right whales. Transport Canada is enforcing a temporary vessel speed restriction of 10 knots in the area because a slower speed lessens how lethal a ship strike can be. Fisheries and Oceans Canada also closed a large snow crab fishery in Northeastern New Brunswick early this year. Its nets were found on the three live whales entangled this summer. These efforts reflect how serious the issue is, but Dr. Davies emphasises the importance of getting the science right before large-scale, permanent measures are taken. WHaLE will eventually collect enough data to better understand the spatial distribution of right whale prey fields, the boundaries of their habitats and more. “When you’re trying to decide where a closed off area should be, it should encompass not only where you’re seeing the whales today, but where you might expect them to be over longer time and space scales,” explains Dr. Davies. For Davies, these creatures are more than a study subject. To her, the North Atlantic right whales are beloved animals. Animals that have brought together a tight-knit community of scientists, wildlife experts, and community volunteers. Animals that have captured the world’s attention and concern this year. That makes this species’ plight not only a challenge for conservation and marine management, but a profoundly personal one too. The stoicism and leadership of those involved in the response to this summer’s crisis should not be left out of the story. 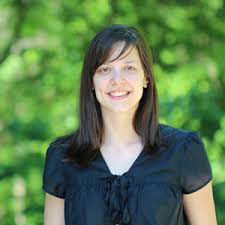 Earlier this year, Kimberley Davies was awarded the Canadian National Committee for the Scientific Committee on Oceanic Research’s (CNC-SCOR) Early Career Ocean Scientist Award. Dr. Davies has been recognized in her field for the impressive breadth of expertise behind her oceanography research, which has led to effective and practical conservation policy changes.